A collaboration with Irish artist Rhona Byrne on two works involving roller coasters. 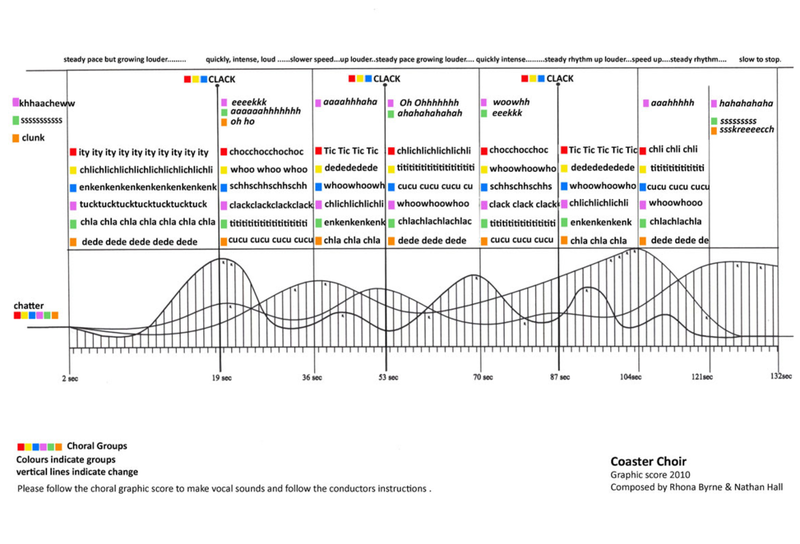 I assisted with creating a music score incorporating the sounds of rollercoasters, forming them into a piece for a ‘choir’ of roller coaster enthusiasts to sing. 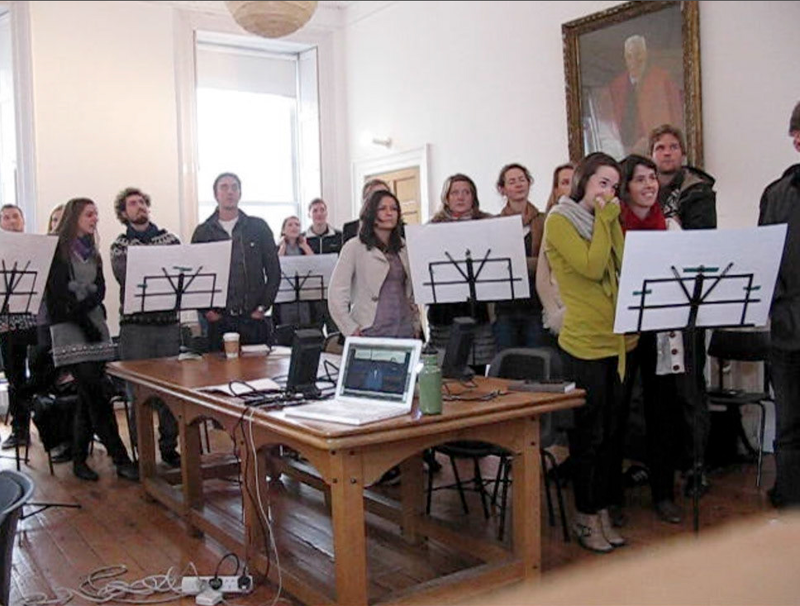 We also created Coaster Choir for non-live audiences to be able to perform the work themselves, as if I were conducting them ‘live via satellite’. 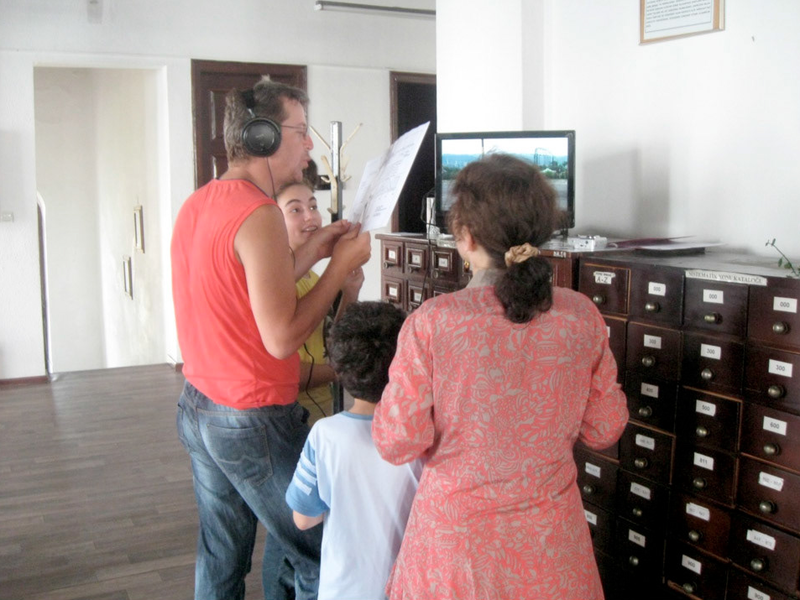 Exhibited first at Mattress Factory Museum of Contemporary Art; later the Istanbul Biennale, Gracelands Festival in Ireland, and the Tampere Museum in Finland. Nathan as Coaster Conductor. Photo: Rhona Byrne. Coaster Choir at Tampere Museum, FInland. Gracelands, Ireland. Photo: Rhona Byrne. 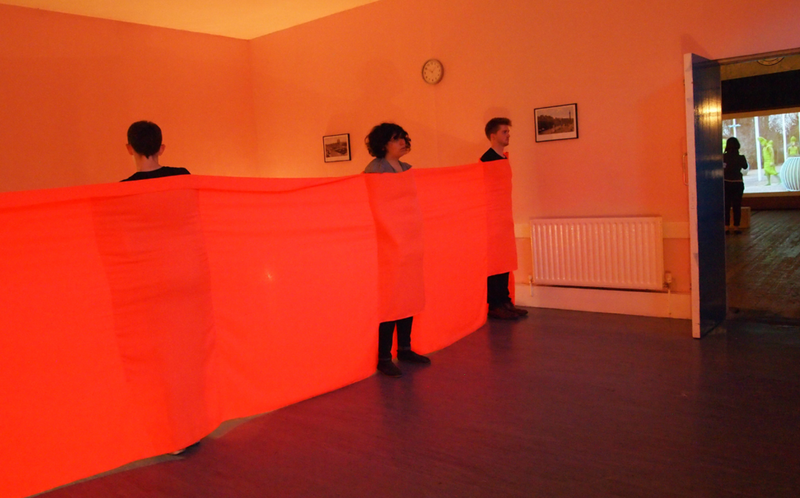 A short performative piece with Rhona Byrne while on a fellowship-residency to Dublin, Ireland. Rhona's fabric work makes a gate for visitors to pass through while my short vocal score emulates the sounds of a grain mill grinding.